I have a belly button. Someone got into the presents a little early…but she looked super cute so we let it slide. Little Miss Kit Cat just hangin out. Love her! So I wasn’t sure what I was going to do for this week’s assignment. I didn’t want to do the traditional fruit in a bowl pic or fruit at the farmer’s market pic. Lucky for me, I live in Austin so I’m always surrounded by the unusual and artistic nature of others which I find inspiring. I came across this giant piece of fruit at Yard Dog on SoCo. 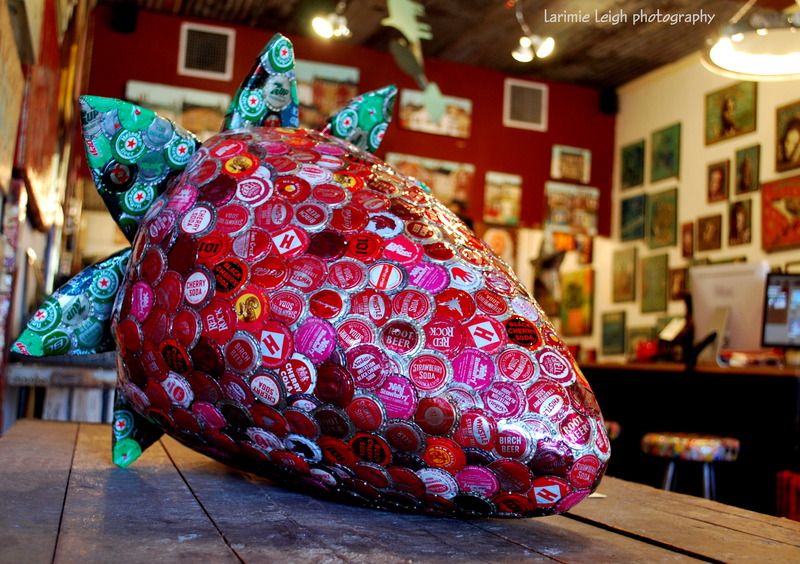 It’s an amazing piece of art created by Dakota Pratt and it is appropriately called Strawberry. Well done Ms. Pratt! That’s the best lookin strawberry I’ve ever seen. Meet Jason, born 12.5.10. I came across this cutie pie rockin his ‘My First Christmas’ gear while I was volunteering at the church Christmas lunch. His outfit was A-dorable!